Being involved in education, we get a chance to see the winter season through the children’s eyes. The family gathering and celebrating together, cooking up delicious treats, playing in the snow… Could it be any more exciting? This is the winter we’d like children to experience, but families often miss out on unique teachable moments of this season. Leading up to the break, parents might find themselves too stressed and busy to come up with fun and meaningful learning opportunities. Luckily, our befriended teacher bloggers never run out of ideas and they shared a few with us. These creative ways to engage parents will help you build a bridge between home and the classroom – children will be less distracted as the learning corresponds with the excitement of the season, while parents get tools to stimulate child development during the winter break. One fun way to engage parents during the busy winter season is to create digital wish lists to share with families. Student wish lists can be traditional toys or other items they hope to receive, which can be helpful for parents working on shopping lists. However, I like to have my students create more meaningful wish lists showcasing places they want to visit, things they want that don’t cost money, books they want to read, or activities they want to do over the holiday with their families. We create our wish lists using an iPad app called Pic Collage Kids. We add images, text and Emojis. Students could also make a slideshow in Google Slides with each slide containing an image and a short description. Both Google Slides and Pic Collage allow searching for images right inside the program. Since wish lists are digital, they can easily be shared with families. Parents appreciate having ideas for winter break and snow days at a glance. Connect with Erin by visiting her blog Erintegration or her TpT store. By cooking with your child, she/he can apply and learn math skills and follow directions. My granddaughter bakes cookies with my daughter all the time. Harper follows the recipe step by step and measures the ingredients perfectly. I even suggest baking sweets from other countries. Children can learn about the holiday traditions and foods that represent the country and the culture of the country. Since we have a large Hispanic population, I often recommend baking yummy treats from Mexico. To learn even more, visit a local Mexican-American bakery. When you shop for the ingredients, your child can estimate the cost of the items, compare prices, and weigh produce on the scale to see the price per pound. Children love to look through the flyers to find what they would like for Christmas. Instead of throwing them away, put these flyers to use by having your child create word problems with the flyers. Or, give your child a budget. He/She can find as many items they can without going over the budget. My students absolutely love this activity. This is also a great opportunity to introduce spreadsheets to calculate costs. Connect with Sandy by visiting her blog Sweet Integrations or her TpT store. I come from Upstate New York and we see our fair share of snow days. One way I like to get parents and students engaged on their surprise day off is by sending home secret missions that get to be opened on a snow day. From baking, to helping others, to building a snowman together, these missions keep students busy and parents engaged in their learning. Parents and students are overjoyed to find out their secret missions and excited to complete them together! Connect with Nicole by visiting her blog Nicole’s Learning Lab or her TPT store. We turned counting down to Christmas into fun learning activities by creating a different educational theme for each of the 12 days leading up to Christmas. Families can countdown the 12 days until Christmas by opening a bag of reading, writing, math, and other activities you can do at home. The materials are easy to prepare and will engage your children in both fun and learning right up until Christmas. They will be excited to see what each new day has to offer and you will be delighted at how much they are learning. Connect with Amy, Emily and Tatum by visiting their blog Core Coaches or their TpT store. As parents, one key role we have is to provide guidance to our children in order to help them live our core values. These values may include kindness, generosity, respect, compassion, helpfulness, and inclusivity. 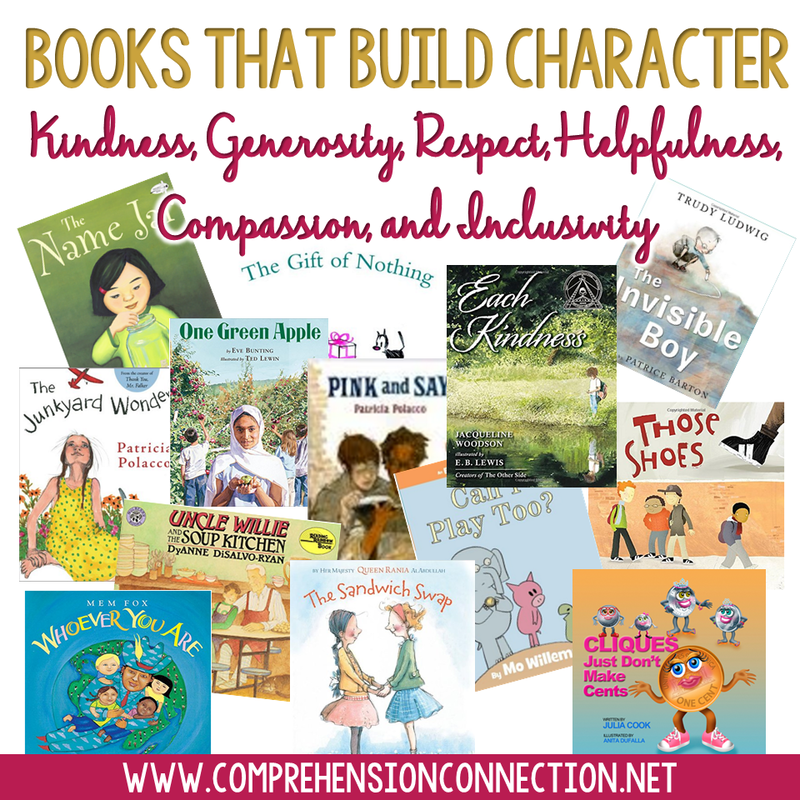 We model these core values through our actions and words, but we can also embed these ideals through the literature we choose to share with our children. As we reflect on the meaning of Thanksgiving and look ahead to the winter holidays, parents can support their children’s literacy and emotional growth through the gift of reading. Selecting books as gifts and enjoying them together is a wonderful place to start. 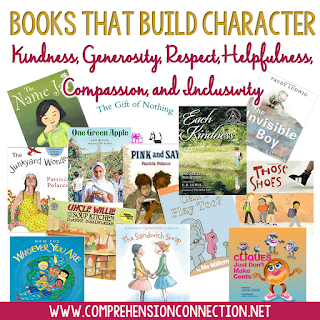 If parents need help in selecting quality literature or need other ideas to try, [this collaborative Pinterest board] has a wonderful collection of book titles and ideas highlighting these themes. Nightly reading time creates warm memories, helps families connect with each other, establishes a reading routine, and builds reading fluency. Most of all, it helps children learn to love reading which we know builds lifelong readers. For additional ways to support literacy learning, check out [this post] on Comprehension Connection. You can connect with Carla by visiting her blog Comprehension Connection or her TpT store. I absolutely LOVE getting families involved and interested in whatever crazy thing we’re doing in our classroom! In our room, I try to send home a thematic family project each month to provide families with an opportunity to work together with their child and show that they are taking an active involvement in their learning. In December, it’s time for a snowstorm! I send home three sturdy plates with each of my little ones (small, medium, and large) with a cute letter explaining the project. The kids are always super excited to bring their creations back to school and are proud to share what they have made with their families! They also look forward to seeing what their classmates have created. I have seen some pretty wild, interesting, and adorable snowmen over the years! I find that families just need the opportunity to be part of their child’s education and when given one, are thrilled to be a part of it. Connect with Khrys by visiting her blog or her TpT store. Many parents have this conversation with your kiddos: “What did you do at school today?” “Nothing…” Let’s erase that “nothing” and give students something to talk about! STEM is one of the most fun and engaging ways to get students talking to their parents about what is happening in their classroom. There is no better way to connect to parents than getting students excited about their learning! When students spend part of their school day building a roof for a house and then pouring “snow” on the top, they have something dramatic to tell their parents! Students become eager to share what they did, how they did it, and if it was successful. “Snow” days in the classroom and dinner conversation starters for home! Connect with Amy by visiting her blog or her TpT store. Are you organizing a holiday celebration for your class? If you’re counting on volunteers to bring items to your event or want to invite families to the party, you can save time and increase attendance with ClassTag. All you need to do is create your event on ClassTag, cut & paste a list of emails and get great participation. Parents will be informed and get automatic reminders, while you can focus on enjoying these creative winter season activities with your students. Do you have an idea you’d like to add to this list? Share it below!